The sounds of Siem Reap are a symphony of contrasts. Soothing chants and chimes float out of the city’s ornate pagodas, mingling with the boisterous sputter of tuk-tuks that ply the streets. Street-food woks spit and sizzle, providing syncopation for the muddy bass and high-pitched pop ballads booming from the city’s tourist-thronged, bar-lined Pub Street. Less than 10km down the road, inside the ancient ruins of Angkor Wat, the most salient sounds are the spectacular sonic mashup of voices and languages — English layered over Khmer, Korean, Japanese and Mandarin, tempered by German, French and a smattering of Russian. The cacophony of tongues isn’t surprising: more than two million tourists from all over the world filed through this sprawling Cambodian temple complex last year. But step into Meru, a restored two-story wooden house in the heart of Angkor Archaeological Park, and the soundscape transforms. This property recently became an Airbnb property; my boyfriend and I decided to stay here during our recent trip to Siem Reap, after stumbling across the site while sifting through Airbnb listings. We live in rapidly developing Phnom Penh, where we are perpetually surrounded by brash, bold noise. Meru — which sits on an acre of jungle in the tiny village of Phum Kveen, on the edge of the park’s West Baray — looked quiet, and perfect for a peaceful getaway. What I hadn’t expected was that Meru would also become a window to another surprising sound — the energizing hum of creativity. Meru’s hosts, affable Australian-Cambodian couple Dean McLachlan and Ada Din met us at the property with chilled lemongrass tea and wide smiles. The pair took over Meru last July, after a series of serendipitous events made the venture “just feel right”, says Ada. Dean, a Tasmanian who has lived in Siem Reap for around a decade, had worked in management roles for big tour companies, and was similarly besotted with Meru when his close friends took over the property a year ago and turned it into an Airbnb lodging. When these friends had to return to Australia, Dean and Ada decided to dive in. “In the early days, the Airbnb listings in Siem Reap were all big hotels. Less than 10% of listings were small properties like ours. That’s really reversed now,” says Dean. Dean and Ada are among a growing number of creative small-business owners who have realized a level of success in Siem Reap that may have proved more elusive in bigger Asian hubs such as Manila and Singapore. 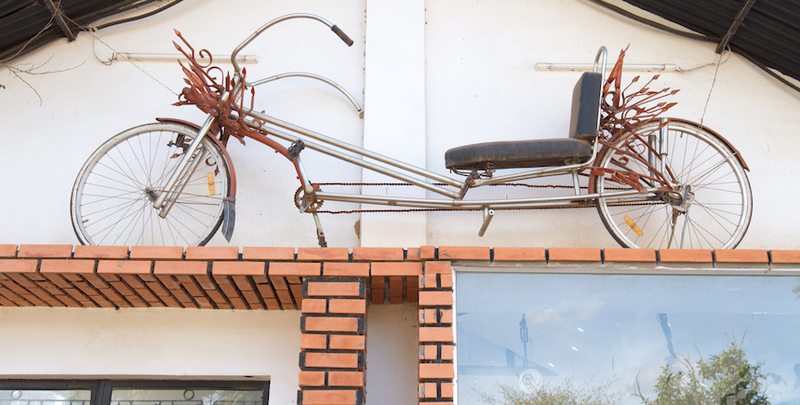 The presence of these entrepreneurs is also changing the character of this Cambodian city. While Siem Reap has long drawn adventurous backpackers-turned-English teachers, NGO workers, and luxury hotel professionals, it’s now also becoming home for business-savvy creative nomads who are helping to position it as a small, thriving hub of entrepreneurship. Intrigued, my three days of rest and respite turned into a mission to explore the city’s infectious startup spirit. I soon found that a variety of conditions had helped create this fertile atmosphere: low labor and rent costs, clear and accessible business ownership and registration structures, simple visa processes, high-speed internet (indispensable in the age of globalized trade) and, very importantly, a collaborative and friendly community. Just like Bali, which was hyped 10 years ago as a hotbed for creative businesses, Siem Reap also has a blissed-out, stress-free vibe. Filipino artist, photographer and entrepreneur Loven Ramos, who is originally from Iloilo, was one of the earliest expatriates to unearth the city’s creative potential. He and his wife Faith first moved to Siem Reap in 2005 to work for a high-end resort. Loven soon became a champion of the city’s nascent art scene. He opened a string of artistic spaces, “shops of curiosities” and cafés. Among these, Poetry, Art Deli and The 1961 soon became the preferred haunts of the city’s cool kids and creatives, little Aladdin’s caves where Loven and his friends could showcase their fashion designs, sculptures, silk-screen prints, jewelry and more. “Not all the things I set up became financial successes. But I had a chance to do things that I loved, and I didn’t feel too attached because I hadn’t invested my life savings,” he says. It’s a sentiment shared by a number of the city’s creative entrepreneurs. In 2015, jewelry designer Chhayrotana Prak created a design workshop and office at The 1961 co-working hub. She now displays some of her work — exquisite pieces inspired by the curvaceous, ornate designs of ancient Angkorian jewelry — at The 1961’s adjoining gallery. Originally from Phnom Penh, she often spends late afternoons sketching designs on the northern pavement of Angkor Wat. “I’ve lived in Siem Reap for three years and I still find magic here every day. I’m addicted to the ancient cities and what our ancestors built there. That definitely played a role in me moving up here,” she says. Walking around the center of Siem Reap, you can’t help but feel energized by the eclectic, idiosyncratic environment that’s been engendered by these creative entrepreneurs. On Sivatha Road, a Turkish expat serves up ice cream in a fantastical costume alongside local street-food vendors. Closer to the market, there are foreigners manning a salad cart, a roving crêperie, a pop-up cocktail cart and a cart that sells dreamcatchers. A young Khmer man has decked out his tuk-tuk with a wood-fire pizza oven, and he sets up this portable pizzeria at the back of hotels to dish up cheap pies for staff. Meanwhile, Mauritian-French couple Joëlle Jean Louis and Lionel Maitrepierre run Sombai, a thriving craft liquor business specializing in rice wine infused with delicious ingredients such as banana and cinnamon. The bottles are hand-painted by Khmer artists, wrapped in kramas (traditional scarves), and have become popular souvenirs. The city’s creative spirit is also apparent in its unique boutiques. A few blocks north of the Old Market area, close to Siem Reap’s former French Quarter, Hup Guan Street has been nicknamed “Kandal Village” by residents — a cool crowd comprising stylish restaurateurs, baristas, boutique owners, art curators, and scent and candle designers like Australian émigrée Beck Scougall. Beck developed a deep interest in natural oils, chemical-free candles and Ayurveda medicine while working in one of Siem Reap’s luxury hotel spas. 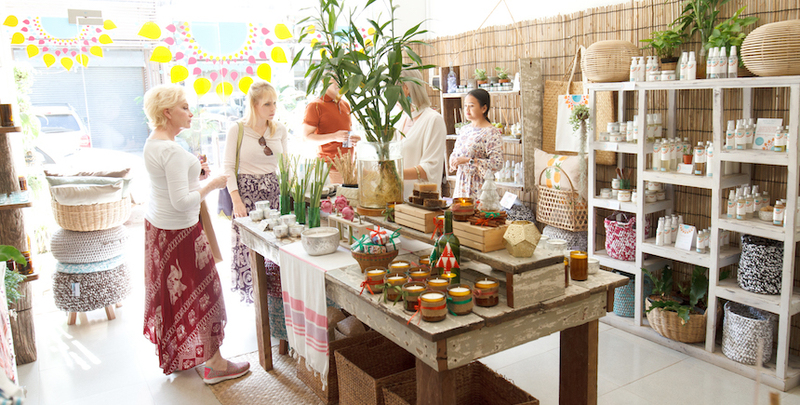 In 2015, she opened Saarti in Kandal Village to sell exquisite soy candles, body butters, delicious coconut shampoos and custom scents. You can also tell the buzz is real when Google jumps into the fray — last year the tech giant sponsored a startup weekend in the 1961, with participants working on pitches over 48 hours. Although Singapore and even Saigon are being tipped as South-East Asia’s next great “Silicon Valleys”, the speed at which Cambodia is developing means that it isn’t lagging too far behind, according to groups such as the Mekong Business Initiative (a team of enterprise development experts funded by the Asian Development Bank and the Australian government). In the meantime, those who discovered Siem Reap’s potential first can enjoy the growing buzz even as they savor the city’s precious pockets of serenity. On our last morning at Meru, we woke at dawn. Ethereal light streamed through the windows, and for a while there was nothing but the sweet, golden sound of silence. But soon, the jungle woke up too, and started playing its orchestra of buzzing insects and chirping birds. We wandered through the small village market and out to fields of rippling, dewy rice crops. They stretched out to the horizon: an endless sea of chartreuse, interrupted only by clusters of palms and a few grazing water buffalo. 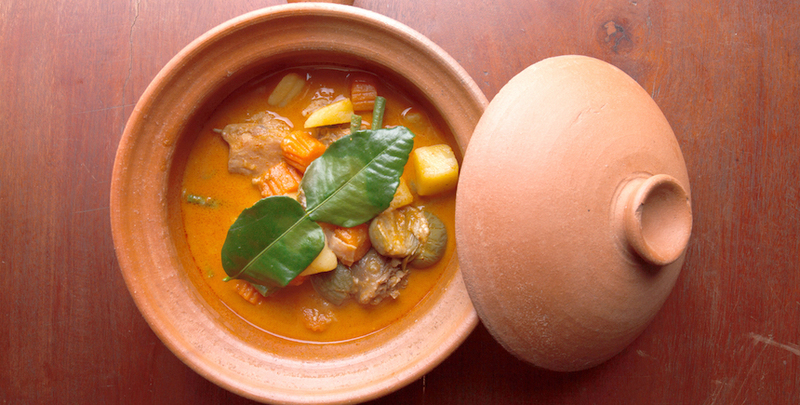 The night before, Ada had cooked a sublime Cambodian feast — a rich Khmer chicken curry, delicate rice paper rolls, cha traop dot (a char-grilled eggplant and pork stir-fry) and a mango salad with grilled river fish, all washed down with a New Zealand pinot gris. This article first appeared in the January 2017 issue of Smile magazine.